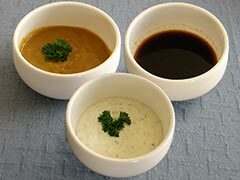 Many sauces and condiments contain gluten. Luckily, some sauces and marinades are labelled gluten free. None have been submitted yet. Be the first!